ensure you are on the proven path to success..
-The demand for industry and research proven practice for achieving behavioral change affects all coaches and has become a focal point for industry discussions concerning coach certification standards, coach standards of practice and the measurement of coaching outcome results. measurable results in the workplace." professional skill set to be enhanced. organizational and business context in which the executive operates. -Definition- "A structured, process-driven relationship between a certified professional (for example a Certified Master Coach, who has undertaken personal training by Dr Skiffington -an acknowledged international authority in the field) and an individual or team which includes; assessment and using coaching models, tools and techniques (that have scientific reliability and validity) to assist them to develop competencies and remove blocks to achieve valuable and sustainable changes in their professional and personal life." "The behavioral coaching model, pioneered over the last decade by Dr. Skiffington, which integrates the most advanced research on adult development and human systems theory into an elegantly simple and highly effective validated coaching process is taught to her select students so they can effectively apply it in their work." Behavior = A person's actions (what people do or say). increases his or her effectiveness. - Today learning refers to any change in behavior. Organizational Behavior (first seen as actions) is the sum of professional skills affected by personal skills and behavioral aspects such as; beliefs, values, attitudes, motivation, thoughts, and unconscious drives. Coaching is now recognized as the critical platform for successful organizational change and learning initiatives. Recent studies have revealed the greatest challenge to any organization is to change people's behavior. Of recent years there has been a growing demand from coaches and their clients for a coaching model based on scientifically validated methodologies. Behavioral coaching was first employed in sports, work safety, the military, health and education. Behavioral-based coaching integrates research from many disciplines. It incorporates knowledge from psychology (behavioral, clinical, social, developmental, industrial and organizational), systems theories, philosophy, education and the management and leadership fields. Dr Skiffington (an internationally recognized educator in the behavioral sciences and a long-term practising Master Coach) teaches the applied and practical science of human performance enhancement, learning and change (Coaching at Work). Course participants are trained in the use of behavioral science-practitioner models that are being easily and successfully applied in executive, business and personal coaching practices. This unique, accelerated learning program provides qualified students with a solid working application in the use of fundamental and advanced applied coaching skills and business practice. All people and systems are dynamic -changing throughout time. Growth is a type of change and a lifelong personal (micro) and organizational (macro) process. Growth occurs by adding new content and organizing old content. Whatever the driving force, when companies are attempting to grow and develop and keep pace with a changing marketplace, any successful outcome requires an ongoing process that alters the way people interact with the market, perform their jobs and relate to each other. Organizations must also ensure that individual and organizational behavior are aligned with business strategy. These specific behavioral requirements are the capabilities and skill sets required to achieve individual positional and overall corporate success. Unlike many traditional coaching models, behavioral coaching does not explain an individual's behavior purely in relation to her or his personality profile. Instead, it recognizes and assesses environmental factors such as culture, values and organizational and team dynamics. Behavioral coaching acknowledges that organizations are socially constructed and it provides guidelines for coaches to explore culture and to recognize and manage forces of resistance.
. -The Behavioral Coaching Model is a basic, validated platform of practice informed by the behavioral sciences as regards the laws of change and learning and incorporates best practices from a range of disciplines. The seven step process (client education, data collection, planning, behavioral change, measurement, evaluation and maintenance), the four different stages of change in the coaching process and the five forms of coaching (coaching education, skills coaching, rehearsal coaching, performance coaching and self-coaching) form the basis of the model. This flexible, easily learnt model is then tailored by the coach to fit the specific needs of the coachee. -Coaching clients are entitled to information that better enables them to discriminate effective from ineffective coaching practices and confirmation that "certified practitioners" have a geniune, demonstrated expertise in their area of speciality. Practitioners are also entitled to validated coaching technology and a set of best practice standards that better enables them to develop and judge their own work and manage their professional development. Coaching Technology (CT) is a scientific, systematic and systemic approach to the structure of coaching using a wide range of evidence-based, validated tools, techniques, interventions, protocols, templates and models that are drawn and developed from many disciplines and fields of learning such as the behavioral sciences. CT is the 'science of coaching'. The 'art of coaching' is achieved through systematic practice and mastery of the science -after completing personalized training in the selection and use of the technology and follow-on mentorship by an experienced practitioner, credentialed educator and scientist (clinical psychologist etc). ...producing a body of knowledge far greater than anyone in the coaching industry." potential for your business will ensure that you have decisive competitive advantages." What you measure is what you stand for. What gets measured gets done. You can't change what you can't see. We live in the age of assessment and diagnosis. From satellite imaging to the MRI to genetic mapping, diagnostic excellence drives individual, social and organizational progress. Today's coaching solutions must be rooted in cutting-edge coaching technology, hard facts, leadership science and proven best practices. Good coaches know that valid, accurate behavioral information and insight are the building blocks of great decisions. The question isn't whether the right information and insight are essential. The question is how to get it. The Behavioral Coaching Institute (our parent organization) is internationally recognized as the leader in building the next generation of coaching models and diagnostic tools to help you generate the information and insight necessary for you and your clients/people to make great decisions and real progress. Whether the question is identifying and improving leaders, establishing personal and organizational alignment, understanding a team's performance, or enhancing executive skills, insight etc, -these behavioral models and tools provide the answers you need to drive exceptional performance. Dr Skiffington and her team are engaged in ongoing research to develop data, knowledge and expertise in several coaching practice areas. The research not only continually advances the quality of our world-best standard certification course but also the follow-on support provided to our graduate coaches -ensuring they have access to the latest, validated coaching technology. The Behavioral Research Laboratory is the research arm of our Center of Applied Behavioral Coaching (CABC). The CABC, as well as our Graduate School of Master Coaches, is part of the Behavioral Coaching Institute. The Laboratory conducts state-of-the-art research on issues that affect human and/or organizational performance, change and learning (coaching at work). Research findings are also published in our journal articles and text books by McGraw-Hill Education (New York)..
Descriptive and comparative studies based upon industry, organizational characteristics, geographic region etc. On-Site Training Option for Organizations..
knowledge, methodology and skill practices and explore sensitive issues etc. specialist areas of knowledge and skills practice. Corporate, Business and Non-Profit Clients around the world. 2. Master Coach Course (see below) available On-site or at one our international campuses..
-Existing Small Group - In-House (delivered to you) -on-site, for in-house associates. Contents are tailored to meet your organization‘s specific needs. Around the world more and more mature, accomplished professionals are reengineering their skills to practice a life affirming coaching model of personal and business development. We help independent, small and large firm professional coaches, consultants and internal coaches/managers construct the road map and then build the roadway to securing a successful coaching practice/program. Clarity. Accelerated, shorter learning. World best standard. Practical application. Industry focus. up to one thing: professional success. able to practice at a world-best standard with organizations anywhere around the globe. Our faculty writes groundbreaking text books and consults with organizations and governments worldwide. Dr Skiffington may be advising a Fortune 100 Coaching Program Manager in Massachusetts and London one week and then next sharing the insights with you in the workshop the following week. Dr Skiffington and her team's ongoing research not only advances the quality of the Master Coach Course but also the follow-on mentoring and other forms of support (such as our regional Master Classes, Facilitator Program and Partnering Program) form part of an invaluable Professional Support System. Obtaining the Coach Certification by Dr Skiffington sets you apart from other coaches. Dr Skiffington's international reputation as an authority, educator and developer of professional coaching is directly linked to the world best standard of coaching she teaches. Only applicants that have a proven record of organizational accomplishment, professionalism and integrity are eligible to apply for her limited one-to-one courses -and only one in four of these applicants are successful in obtaining a place. Also note: the few available courses that Dr Skiffington is available to conduct are by invitation only and there is a strict criteria of selection. professional coaching practice striving for industry and client recognition." Fast Track your career through accelerated learning..
fitted to meet your specific skill set and business needs..
resource further specialist knowledge on a "need-to" basis. with any discipline, developing enduring coaching skills takes place over time with practice and commitment. why our course is not open-for-all and we employ a genuine criteria of selection for enrolment. For years, employers and clients have been asking for standards and criteria to help them distinguish practitioners who have proven they can produce results through a systematic, scientific, measurable process. Until the development of the Applied Behavioral Coaching program, anyone could claim that they are "professionals" in organizational coaching. At the same time, practitioners have been asking for a credential that would provide them proven best practices with a behavioral scientific basis and help them assess their ability, better focus their professional development efforts, and recognize their capability. In response to this global need, the Behavioral Coaching Institute (BCI -our parent organization) developed a program through which qualified individuals can apply to receive the designation of Certified Master Coach (CMC). Over the last decade the Institute's Master Coach training school (The Graduate School of Master Coaches -and owner of this web site) has certified over 1,000 specialist professionals from over 30 countries. - Have the Standards been validated? .-The Behavioral Coaching Institute designs the course. The program is constantly upgraded according to world best practices recognized and used by a panel of some of the world's leading industry users and independent practitioners in consultation with the Behavioral Coaching Institute. How can practitioners and organizations benefit from the CMC designation? .-Many organizations are now using the coaching standards set by Dr Skiffington's Certified Master Coach Course as part of their criteria for the selection and development of their own specialist coaches as well as for the selection of outside contractors. Our Institute further assists practitioners and organizations in their coaching project development and improvement. From Student to Practicing Professional. . .
to YOUR personal skill set needs and business goals. strengths and challenges can be used to improve your session results and assist in discovering new niche areas. How to Identity and Find One's Place. In this important exercise, Dr Skiffington works with the student to establish their personal skill sets, personal interests, professional expertise, skills, background etc and the local market opportunities for coaching that will affect their developing authentic and viable career directions/business specialties to practice in. Some other aspects covered include: Consolidating Professional Identity, Maintaining Professional Momentum etc. In the real world of professional (full-time) organizational coaching there are no coaches "for all reasons or seasons" -but rather coaches who are specialist resource/change agents. This above foundational course exercise provides the roadmap for the individualized/customized workshop. From this point on in the course, the student works with Dr Skiffington on the specific roadways -the knowledge transfer/learning needs (skills, practices, tools, techniques etc) that they require to be successful in the specific interventions/programs they will practice/specialize in. Proactive Self Marketing: Professional external coaches often neglect the marketing side of their practice, wasting time going down blind alleys or not knowing how to market creatively, effectively and inexpensively. They become experts in their specialty, but not experts in the promotion and marketing of their business. The first cornerstone of the course is the construction of a detailed: 1) Business Plan and, 2) Marketing Plan of Action/Practice. Other marketing activities include: Designing your marketing mix, Template marketing guides, web-sites and Relationship marketing strategies. Proven Practice Building Strategies: Dr. Skiffington personally shows you how to identify your current and future practice strategic needs, strengths and weaknesses so you are able to create a more solid, secure foundation from which to grow your business. Suzanne also guides you how to match your services with a market that is ready to buy. You will also learn: how to establish a targeting strategy; how to open the doors to your niche market; proven methods of creating a business network from a zero base and, how to expand your existing network . Plus you'll receive sample marketing brochures, business guide sheets and letters to suit. Best practice in Client-Centered Management: How to establish quality improvement and outcome management "best practices". Includes the eight stages of establishing CCM. A Coach's expertise must include the ability to plan and design an effective process for meeting business objectives, balancing creativity, participation, efficiency and ownership. This critical phase will ensure that you design effective and stimulating sessions and workshops. Learn via customized hands-on exercises. Step 2. -Then learn how to master the use of the knowledge/strategy. Here you'll be able to select and practice your new skill sets in a supportive environment with guidance from Dr Skiffington. Our many Hands-On "Real-Time" Exercises are designed to simulate your particular workplace situations/real-time business challenges so you can cement your newly acquired knowledge with well tested practical activities. Rather than presenting a formulaic set of exercises, we address your relevant business issues (dealing with clients and prospects, Coaching Program Managers, HR Managers, potential coachees, the coachee's peer group etc) that pose immediate challenges. Simulations are followed by lively, insightful discussions of the applicable learnings. Discover the primary causes that limit people: what are the key behavioral patterns and beliefs that affect an individual’s professional and personal drive, development and dynamics, how they are triggered and how they contribute to individual, team and organizational issues and undermine desired results. and fulfill their potential and goals. place below the surface, where 85% of the iceberg is susceptible to different forces. search for that invisible 85%, we end up managing symptoms, generating stagnation or unintentional damaging consequences. .The B.C. methodology teaches participants to explore the 85% and gives levers for sustainable, measurable progress. proven models from which to choose. The most popular models and types of coaching are critically reviewed. Outdated, goal-centered popular models are compared against leading-edge, empirically proven behavioral-based models. Course participants are then able to evaluate and select industry-proven platforms that are suitable to the types of programs they are/will be conducting. Several evidence-based coaching models are analysed including the Behavioral Coaching model. Step 1. Education: How to establish the information platform from which to launch a coaching program. behavior and performance 'pre', 'during' and 'post' development. Step 3. Planning: How to target relevant specific, observable, measurable behaviors. Goal setting. Action Planning. ..-across a wide range of industry sectors. considerable thought, planning and guidance. Action, accelerated learning is a guiding principle for the course. Our approach does not involve simply attending a workshop, however interactive. With one-to-one guidance provided by Dr Skiffington, the participant explores the use of the latest valid coaching technology and practices. The personal involvement of participants is a foundation stone of the programme. Working with Dr Skiffington and their peers: they are enrolled in role plays, discussing case studies and open reflection and debate on how some of the examined change interventions can be best applied to their workplace/practice. 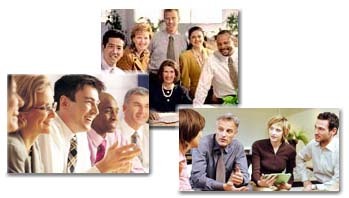 Experiential learning exercises - participants receive practice and feedback on coaching skills.. Coaching skills development tool. Self-assessing your coaching skills is a powerful exercise for enhancing your professional competency. Dr Skiffington also provides feedback to help students recognize their strengths and work on areas that need further development. invaluable networking with your peers." .- First, learn how to select the right coaching techniques and tools (that have scientific reliability and validity) for you. - Secondly, engage in a suite of role plays (relevant to your working environment) throughout the "hands-on" course applying the skills learned to increase the success of organizational interventions and to create breakthrough thinking and actions..
Role-playing with Dr Skiffington means the student is able to build correct habit patterns in a private environment, followed by individual supportive critique through rehearsal. Suzanne also "models" various techniques/role-play scenarios. By working directly with Suzanne in a personalized environment the student is able to learn how to: implement the specific behavioral skills and techniques they require to master and, use the language of organizational coaching at a "real-world", professional best-practice level. develop programs that specifically relate to their working environment. - 1to1 with Dr Skiffington -to follow-through the application in "real-time" of the new learning and skills from the "hands-on"
course and the extensive library of manuals, resources and toolkit provided to each graduate. b) the power of the language of world best-standard coaching. Know how to realize your vision into a viable coaching business. Clarify your positioning to prospective clients about just how you can assist them. needs professionally and be protective of your own interests. is on your work and not your fee structure. coaching contracts by cost-justifying your fees and showing a ROI (return on investment) to the client. respect and a lifestyle you deserve. Chrysler, Toyota, Lloyds Bank, Ernst and Young, Vodafone, Saatchi and Saatchi (New York), Sony Corporation, Pfizer, Maritime Life Assurance Co, Mt Sinai Hospital, The Bank of New York and Walt Disney World etc*. Her clients have also included executives in not-for-profits (such as the Red Cross, government agencies e.g; the Education Department and the Defence Dept.). Dr Skiffington's sought after courses and highly valued work as a coach are well documented in many journal and magazine articles and case studies published in her best selling coaching text books (sold in multiple languages around the world). For organizations who simply want to build a 'best industry-standard' coaching program and have their key people trained to deliver accountable, measurable results. By customizing the training to meet your needs, you can ensure that everyone in your organization shares the same knowledge, practice management, methodology and skill sets. Let's face it. Running your own coaching programs can sometimes be unnerving. It's comforting to have the support of someone who has guided other organizations similiar to your own, through the same problems, concerns, issues and the same opportunities…. Courses can be conducted at your facility or at one of our regional campuses. The Master Coach organizational coaching course content surpasses that of any comparative course -in any terms. Dr Skiffington has the relevant "hands-on" international experience to answer your most challenging issues and is able to facilitate hands-on learning interactions that relate to your specific needs. Note: the following content is an overview of the course. 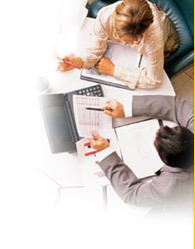 business skill needs of the participant. Coaching -is it really another form of psychotherapy? An insider's view of the industry. Our select students obtain a set of up-to-the-minute, cutting edge, comprehensive resource manuals that are meant to be used as an ongoing learning program/library of information beyond the course. Students are also provided and shown how to use actual check sheets, forms, and procedures developed over several years by some of the world’s leading coaching practitioners who work with Dr Skiffington. Graduates can customize and re-brand these valuable tools, techniques and templates to build a solid 'world best-standard' structure for their own coaching practice. learning is provided to each graduate. to be trained and mentored in the use of validated, reliable psychology-based tools and techniques. This invaluable Coaching Toolkit (on disc) contains free coaching forms, reports, assessment instruments (see below) and other coaching materials and tools, models and templates which the graduate can rebrand and personalize. The cost of the instruments alone would be at least $3000 in total. These invaluable workplace tools are now included, at no extra cost, in the course. Graduates are also encouraged to further develop and customize their own coaching toolkit of various best practice structures for contracting, legal guidelines, coaching aids, designing agreements, and referencing professional ethics and industry standards. The course introduces some of the major assessment instruments used and includes a critical evaluation of a wide range of assessment instruments and their practical use and interpretation. Note: Behaviors are a person’s specialist control mechanisms or tools used to: get some end-result; reflect who we are; confirm our sense of self-worth and to ward off things we do not want. Behavioral strengths and motivational forces (our master control switches) vary from individual to individual. No two people are exactly alike. One of the course goals is to not only to show coaches how to select and use valid instruments to identify and assess behaviors but also to help coaches develop a set of 'diagnostics' to begin to look at the "why" of another person's behavior and also their own. Master Facilitator/Educator and participant working together as equals. - Click here to submit your 1-to-1 'REGISTRATION OF INTEREST' FORM Now! Interested in hosting a tailored course for your organization?